The workplace is where people spend a large proportion of their daily lives. Therefore, it directly affects the physical, mental, economic and social well-being of workers and in turn, that of their families, communities and society at large. It is the perfect setting to support promotion and education of healthy living habits to a large audience. Yoga at work will be able to enhance the well-being of employees and management. 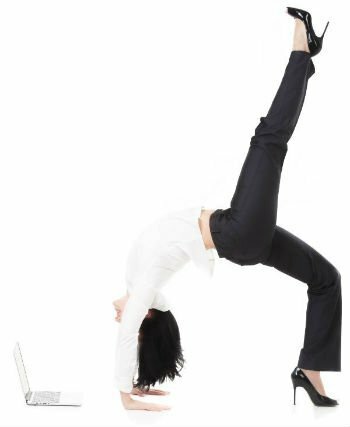 We have had positive testimonies from clients who have found that workplace yoga has improved productivity, concentration, creativity and performance at work. At Yoga Mala, our workplace yoga programs are planned to build team-work and improve performance under stress and pressure. It has also proven to raise staff morale and provide skills for coping with higher stress levels and work demands. 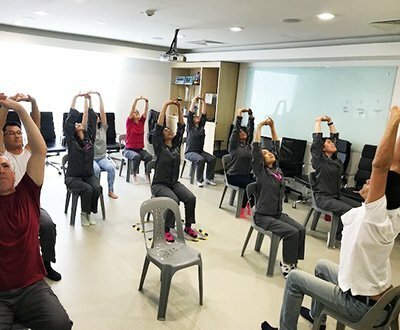 Corporate yoga programs are a wonderful incentive for employees – offering yoga sessions in your business is a proactive step towards a healthy, positive and safe work environment. Helps to alleviate workplace related ills e.g. back pain, stress etc. Corporate yoga objectives range from stress reduction at the workplace, building stronger bodies for better immune system, restoration of energy levels, clarity and focus, and improved relationships through breath-work and meditation. A typical class would involve yoga asanas (postures) for strength and flexibility, breathing exercises and some relaxation/meditation. Class timings range between 45-90 minutes. No previous knowledge of yoga is required and classes will be tailored to suit all fitness levels and abilities. We recommend speaking to us prior to class if you have any specific needs. Our teachers are mindful of modifications required for specific injuries and pregnancy. The recommended class size is 15 people per class for an ideal student-teacher ratio but we are able to accommodate more if required. Rates will vary according to the duration of classes and further specific requirements. Do write to us here for further enquiries. 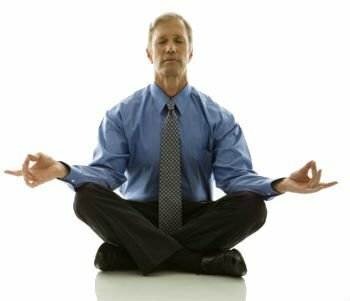 Yoga at the workplace has the potential to improve the health status of your employees. In the long term your company will benefit with happier and healthier staff.